Having a tablet helps artists be able to draw no matter where they are. These devices are easily portable and provide a space that is large enough to make drawings on without having to squeeze everything together as one would have to on the phone. Now that you are convinced that you need to get a tablet, the next question is; what is the best tablet for artists? There are many tablets on the market including various sizes and features. 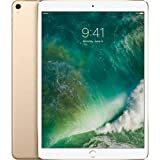 Making the decision on the one to buy may be hard but with this guide, you will be able to choose the tablet that is perfect for you. Do you need one that is dedicated to drawing or would you like the one that can do more than this? Here are the considerations to bear in mind when making a choice. What kind of art are you into? Ensure that the size of the tablet you purchase supports the size of drawings you work on without causing you to keep zooming. When looking at the size do not just consider the overall size of the tablet but also the drawing area’s size. The active area is the part of the tablet that can actually be used for the drawing. It is the part of the screen where you can draw on. The display size should be large enough to comfortably draw on while still remaining relatively affordable. This refers to the number of lines per inch (LPI) the screen can display and detect from the stylus. The higher the resolution, the more the details of a drawing will be visible. A high resolution tablet is ideal but this may come at an extra cost. Generally, a resolution on 1000 LPI is enough to display high quality mages but a higher resolution gives even more clarity. This refers to the range of colors the tablet’s screen can display. A tablet with a large color gamut is ideal. It will be able to display the colors just like they look in the natural. This makes it possible to replicate something just like it is in your drawing. Your work will look amazing and you will be satisfied with the results. The best tablet for artists should have a wide color gamut. To make it feel like you are drawing on paper using a pen, you need to get a tablet that has a pen. This is an input device that allows one to hand-draw on your tablet. With this you will feel comfortable and at ease while drawing just like when you started using a pencil and paper. The pressure sensitivity of the tablet enables one to vary the pressure of the hand in order to vary the width of the lines drawn. A tablet that has the pressure sensitivity feature makes it possible to draw what you want with ease. It is just like drawing with a pencil where you can increase the strength of the lines you draw by increasing the pressure applied. The usefulness of this feature is that it makes it possible to draw and paint juts you would using a pencil or brush respectively. The opacity of line can also be controlled using the pressure which is a very important feature in digital painting. The best tablet for artists should have a pressure sensitivity of at least 2048. This is the highest in the market but the tablets that have it are available at affordable prices. These are customized keys on the tablet that eliminate the need to use the keyboard when drawing. You can activate the setting you want by just pressing an express key. The pen display or pen tablet functions can be customized using the express remote keys. A tablet with this feature is not necessary but it is a great choice because it makes your drawing and painting super easy. This cool feature puts control in the hands of the artist. The touch strips will often be located near the bezels. They allow the artist to zoom the image, scroll up and down and other controls. With just a few taps, controlling the screen is made very easy. Just like moving a book! Even if the tablet you purchase does not have touch strips, ensure that it has controls that make it very easy to control drawings. This is the very best tablet for artists. It allows users to draw directly on the screen. The design of this tablet is made with artists in mind. The back has a soft grip while the adjustable stand that it comes with allows the tablet to be used in a position that is the most comfortable. Whether you are left or right handed, you will find a suitable angle for you to work with. To easily transfer files, this tablet has a USB port. Controlling this tablet is made very easy by the Express keys that are fully customizable. The tablet comes with a pro pen that feels comfortable to hold and makes it easy to create drawings. 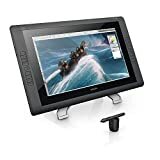 This combined with the pressure –sensitive screen with 2048 pressure points makes it possible to draw anything the artist wants. Simply vary the strength on the pen ,and you will be able to control the opacity and width of the line you draw. When done with your drawing you will be happy with the display of the final product thanks to the High Definition resolution and a large color gamut of the 13” screen. The 10.5-inch screen on this tablet has a resolution of 2224 by 1668. This shows all your drawings clearly while the able processor and large storage gives this iPad fast performance. Combined with the Apple Pencil, this becomes the perfect tablet for drawing. The display shows just the right color tone. The Apple pencil is a precise tool that feels just like a real pencil. You can use this with the Procreate app to create great pieces of art. This is made possible by the fact that the screen of the iPad Pro is pressure sensitive. There is no lag time as you view what is drawn as fast as the pen settles on the screen. With a battery life of up to 10 hours, you can draw on the go for as long as you want. This iPad is more than just an artist’s drawing pad. It can do much more such as watching 4K movies, playing cool games and creating various document types among others. This great tablet provides users with laptop capabilities within a body that is small and portable. What you will notice the minute you touch this tablet is its heavy built. From the keyboard/cover to the kickstand, everything is strong and will serve you for a long time. This sturdiness does not make it heavy; it only weighs 1.65 lbs which is really light and easily portable. The platinum type cover has a thin keyboard that you will find really useful for typing documents, sending emails and so on. The kickstand makes it possible to work on a desk. The 13.5” screen has a high resolution and gives vivid images on the screen. Draw with ease without the need to keep zooming. To make it easy to control your on-screen activities, the controls are located at the corners of the screen. To make your drawing easy and convenient, this tablet comes with the Microsoft Surface Pen. The screen has 4096 pressure sensitivity which is very responsive to pressure. Though expensive, this is the best tablet for artists. It is sturdy-built and can be used in any angle of choice that can be set using the rotating stand. Its 21.5” full HD screen is very large and allows creativity to take over without the limitation of space when you decide to draw or paint. It supports 16.7 million colors so nothing stands in your way when you decide to create the best art. The pressure-sensitive pen (2048 level) makes your drawing experience even better with an ease in making different strokes. To easily control your drawings, simply use the touch strips. You can also control the drawing with your hands thanks to the tablet’s multi-touch support. The express keys in place can be customized so they do what you would want them to. According to its makers, this tablet can be anything you want it to be. We want it to be a blank canvas and the 9.7” screen provides a lot of space. The resolution is 2048 by 1536 which gives sharp and nice-looking displays. 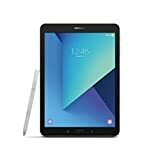 This tablet comes with an S pen that is very effective and does not need charging. It comes with five replacement nibs that can be used later. Be sure to turn on pressure sensitivity in the settings (it is off by default) and you will be able to control the faintness and size of lines drawn. Weighing only 0.95 lbs, this tablet can come with you wherever you go. The day-long battery life will be particularly useful. Other than drawing, this tablet lets you explore your other passions. It has four speakers that allow you to listen to music, a keyboard that eases typing, wireless and wired connections for sharing information and high-quality cameras for taking pictures among others. 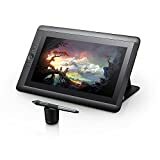 This is one of the best cheap drawing tablets in the market. It is a laptop and at the same time, a tablet. This is made possible by a 360-degree hinge that this device comes with. To make perfect drawings, this tablet comes with a Wacom EMR digitizer that has 2048 pressure levels. The two devices are totally compatible. Controlling the image being drawn can be done with both hands. The 10.1-inch screen has a resolution of 1920 by 1200 for beautiful images that are clear and crisp. The long battery life of up to 15 hours ensures nothing gets in your way no matter where you are. To ensure that nothing slows you down, this tablet has 4GB RAM and 64GB storage. When looking for the best tablet for artists, there are things you should consider. Bear this in mind but above all choose a tablet that is perfect for you depending on your preferences, the kind of art you work on and budget. Once you have determined what these are, choose from one of the best ones recommended above. You will not regret it because these tablets will help bring out the best in you. Happy drawing!